Starring: Bette Davis, George Brent, Humphrey Bogart, Geraldine Fitzgerald, Ronald Reagan, Henry Travers, Cora Witherspoon. 1939 is known as the Golden Year of Hollywood. 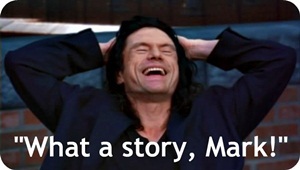 I mean, when one year can produce two monumental films like Gone with the Wind and The Wizard of Oz and then have movies like Mr. Smith Goes to Washington, Ninotchka, Stagecoach and The Rules of the Game scattered in between, you know that something was in the water. One film from that great year that tends to get forgotten is Dark Victory, a Warner Bros. production based on an unsuccessful Broadway play starring Bette Davis. This is a film that deserved to be dragged out into the spotlight now, because this is everything the romantic films of today can't be. It is the kind of melodrama that doesn't skip the human emotion. Today, this film would be one huge cliché. Judith Traherne (Davis) is a free-spirited young woman who is diagnosed with a brain tumour. Dr. Frederick Steele (George Brent) has it removed, and Judith proceeds to live a normal life again. However, Steele discovers that the tumour cannot be completely removed and while Judith feels perfectly fine, she is going to get progressively worse, eventually going blind and dying. He decides not to tell Judith, but her secretary/best friend Ann (Geraldine Fitzgerald) finds out, and decides to remain silence. All the while, Steele and Judith fall in love, thus complicating the awful secret that she is being protected from. What struck me about Dark Victory is the fact that it was probably just another Warner Bros. flick made to fill up schedules and to hopefully make some money. 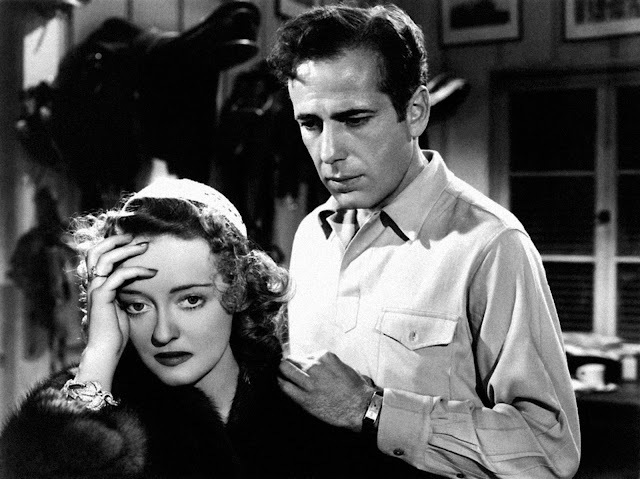 It was a 'Bette Davis vehicle', and a 'vehicle' movie is different now to what it was back then: vehicles were born on a production line, and the actor put in the drivers seat was expected to make the best of their material. Movies born on a production line these dies are usually B-grade at best, but that was not the case in 1939. This is a movie which was obviously born on a production line, but everyone in it could convince you that it was anything but. The performances are beyond fantastic, even if a few characters, such as Humphrey Bogart's, are thinly written. 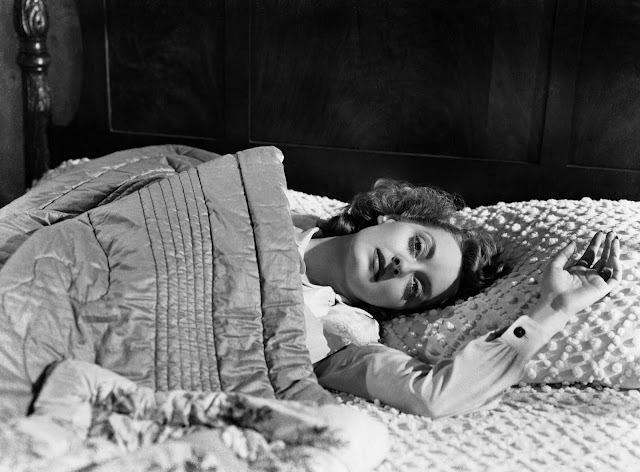 Bette Davis delivers an extraordinary performance which you almost expect from her. While her character starts off as being the kind of self-obsessed pretty little rich girl, she breaks your heart as she goes about life even though every force is acting against her. 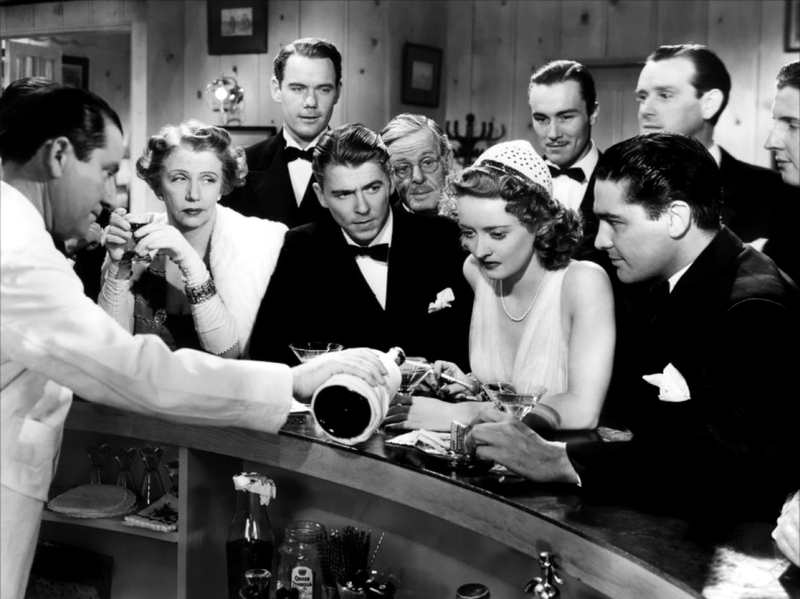 It may be a Bette Davis showcase, but her chemistry with George Brent is what makes this movie spark, especially as the two embarked on an affair on set which lasted for a year after. 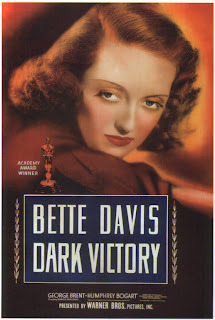 Surprisingly, Dark Victory was just one of the films released in 1939 to be directed by Edmund Goulding and starring both Bette Davis and George Brent. They also did the even lesser known The Old Maid, both achieving admirable success. Edmund Goulding went on to direct yet another film that year, too. These days, it is surprising to see people working like this, but in those days, everyone consistently produced quality. This is one of the best examples of that. No expense is spared, and you genuinely do feel like crap after watching it - it is devastatingly heart-breaking when you look at the predicament at face-value. The final scene, particularly, is one of the most tragic things I've ever seen. You could probably see this movie being a high subject matter in a soap, but this is indeed a film, and what a film it is. I have not seen this, which should not come as a surprise, as when it comes to 30s and 40s Hollywood I am as useless as Francois Truffaut directing American movies. But I'm glad to see you ventured ever slightly out of your comfort zone to review this classic gem which has somewhat faded into obscurity. Ha, 30s and 40s Hollywood is something of a specialty to me! But thanks - I'm not sure that it would work very well. Definitely get into some classics, they're awesome! Bette Davis was quite interesting looking, but she was as beautiful as ever. Sounds good. I haven't seen it but I am very open to that era of Cinema. Thanks Stevee!! Wonderful review! I love Bette Davis so I will definetly see this movie. Definitely do - it is one of the best performances I've seen for her, and I've seen lots of her movies! Great review. I've heard of this one, but never knew what it was about until now. I think I'll definitely try to check it out. Sound like an intresting movie that I would love to see. Good reviews as always.